Many common problems in clinical medicine and general practice relate to arterial and venous thrombosis. Thrombosis in veins (i.e. venous thromboembolism - VTE) is a permanent problem in various cancers and following surgery, especially orthopaedic. Ideally, prevention of VTE is by the avoidance (or minimisation) of risk factors such as poor diet and lack of exercise, but if this is impossible (e.g. surgery, cancer), there are drug and non-drug treatments, which are also used once a clot is present. 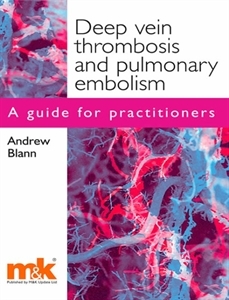 This clinical guide provides a user-friendly resource covering all aspects of VTE, from cause and diagnosis through to clinical management.